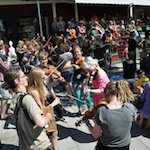 The Euro-Mediterranean Youth Music Expo is a four-day event which combines various modalities of high-level youth music activities and productions embracing all musical genres. This large-scale event brings together over 200 young musicians (young soloists, youth bands and orchestras from all musical backgrounds, classical, ethnic, jazz, rock, hip-hop, reggae etc), music teachers, organizers and professionals altogether related for a multilevel educational and artistic fair which includes workshops, seminars, open-air public concerts, music labs and more! EMYME is also a meeting/sharing point for Euro-Med based young musicians and professionals working in the field of cultural management and other related services (cultural NGOs, production companies, record labels, recording studios, web design and developers, music schools and academies). By participating in the Euro-Mediterranean Youth Music Expo, young musicians (under 30) had the opportunity to initiate future collaborations, meet other young musicians and organizers, promote their work, express their opinion and learn about the latest hot topics in international music cooperation. Abraham’s Café is a youthful musical melting pot where Jewish klezmer intertwines with rhythmical Arabic melodies and elements of folk and jazz. The group was founded 2 years ago and since then has gone from strength to strength, with over 40 gigs in Estonia and abroad at some of the best jazz and folk festivals and clubs. 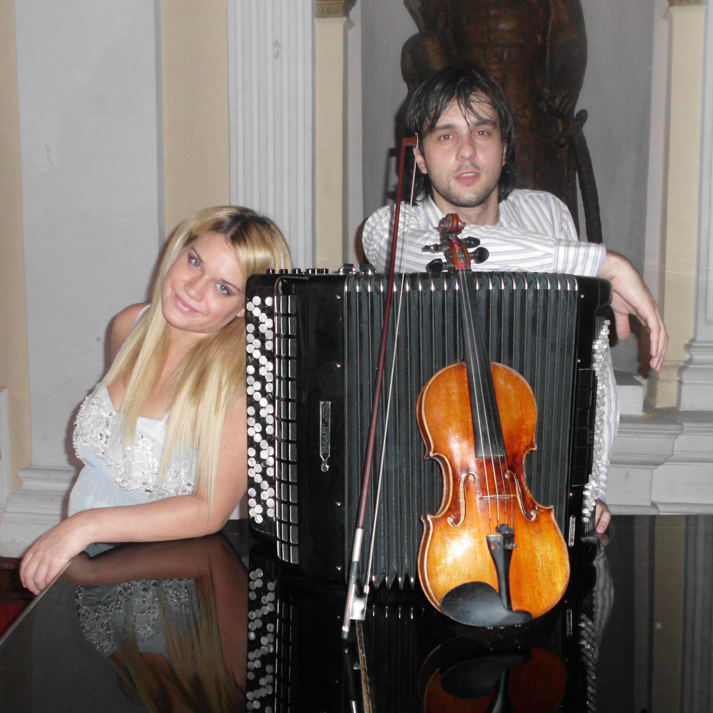 Formed in 2007, Ad Libitum is Sofija Tomic (violin) and Miodrag Djordjevic (accordion). Sofija and Miodrag are masters students of Chamber Music at the Faculty of Music in Beograd in the class of prof. Zorica Cetkovic. They’ve placed top at international competitions in Slovenia, Croatia & China. 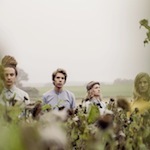 Algot blends a mix of Swedish folk together with ‘stuff from in their heads’ to come up with original compositions that, coupled with their heartwarming stage performances, have proven a powerful formula for success. In 2011 they won the international Imagine Festival in Brussels and have gone on to tour a string of gigs from Mozambique to Japan! This talented young Arab quintet is comprised from Jordanian and Palestinian musicians affiliated to the Jordanian National Music Conservatory (NMC). The repertoire of quintet covers a wide range of traditional and popular Arabic and Jordanian songs and instrumental pieces for violin, qanun, oud, ney, Arab percussions and voice. 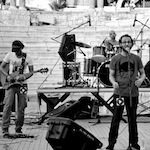 Autostrad is an Amman based group, which draws inspiration from traditional music and adds some funky spice and positive reggae vibrations. Aiming for an uplifting and diverse musical output, their music transcends language, geographical divides and individuality, appealing to anyone with an open ear. 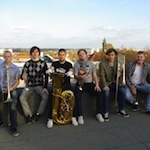 7 friends from the Estonian Academy of Music and Theater and Tallinn Music High School came together in the summer of 2011 to create a band that could showcase their unique take on brass music. Take 3 trumpets, 3 trombones and a tuba, a repertoire blending classical music with anything and loads of crazy humor and you get Brassical, a name that you will definitely remember. The piano-cello duo of Doros Zesimos and Corina Vassiliou was established in Limassol in 2009 and since then these two skilled musicians have been garnering applause wherever they play. 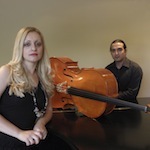 Their classical repertoire includes both Cypriot and foreign composers. The Epilogi Youth Choir was founded in 2007. 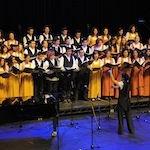 It consists of 60 young people between the ages of 14-20, most of them former members of the “Epilogi” Children’s Choir. The Choir performs a wide range of sacred and secular music from the Renaissance to the present day, including choral arrangements of songs from all over the world, as well as music by Greek and Cypriot composers. countries. Let’s see what this Ethno will bring! At a point during their fast rising careers, these two classical music wonderkids met and decided to perform together as a duo. 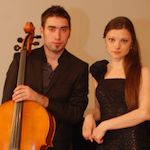 Having in common a very early start and prestigious prizes awarded all over the word, Filip Tomić decided to join forces with Jovana Radovanović, forming the virtuoso cello-piano duo also known as Filip and Jovana. 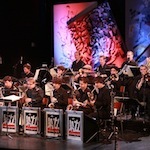 Founded in the summer of 2002 by JM Croatia and polyvalent musician/conductor Sigi Feigl, the HGM Jazz Orkestar Zagreb continues the legacy of jazz camps started in JMI’s World Meeting Center in Groznjan. The project has now evolved into a professional ensemble that has played with many outstanding renowned artists in jazz, classical and world music. 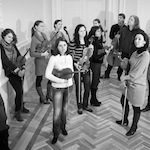 The ensemble has recorded 3 albums, apprears regularly on Croatian TV and performed all over the world. The musical outfit of Cypriot artist Lefteris Moumtzis has come a long way in the past nine years from being a bedroom music project to becoming a live 10-piece orchestra. The band fuses experimental prog-rock with jazz, psychedelic and electronic elements where one can sense a strong British influence but also distinctive references to Greek traditional music. Tackling the current social and political topics relevant to Egyptian youth in a humorous, sometimes caustic manner backed by funky arabic infused grooves is what Karakeeb is all about. Their performances are entertaining, engaging and leave a strong impression on all audiences whether or not they understand Arabic. 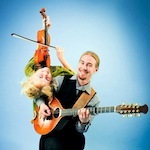 A playful synthesis of traditional and contemporary expressions including folk, pop and reggae, Kolonien delivers their thoughts on life with two guitars, one violin, percussion and laid back four part vocals. 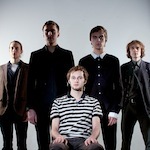 Kolonien was awarded “Best Young Folk band of the Year” prize in Sweden 2011 and recently released their debut album Clockwise. Meztelen Diplomaták (the Naked Diplomats) was formed in 2007 for a once off performance that turned out so good, they have stayed together ever since. Their aim is to have fun and get everybody around them to join in the party too! 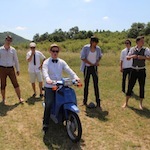 Through an original swinging mix of pop, indie and rock, they draw on influences such as The Drums, The Beach Boys and The Beatles. NAYA in Arabic is the feminine name for the traditional flute Nay, which in Aramaic means ‘the deer’, in Greek it’s ‘what’s considered new’ and in Indian it’s ‘a female leader’. 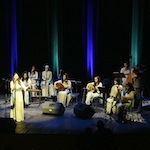 This Arabic ensemble is composed exclusively of women and was established in 2011. 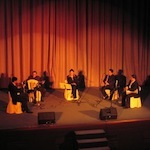 They play classical Arabic music both vocal and instrumental, in an attempt to revive the original and unique traditions from Jordanian and Arab music heritage. POCA creates atmospheric pop, tangled in a dark magic as they wonder through songs that speak of moons and stars, space and love, sadness and beauty, laid out on melodies that are gloomy but mellow, layered with lyrics that are full of mystery and hidden messages. 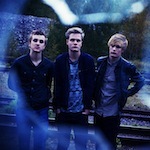 Coming from a small industrial town with a rich musical tradition, the youthful trio represents an explosive combination of rock and indie pop with sing-a-long vocal hooks and infectious riffs, showcasing confident and mature writing and a great stage charisma. It is no surprise that they won over the audience and jury at this year’s Musik Direkt (Imagine Sweden). 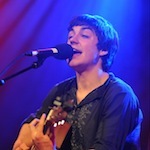 Stoomboot, or Steamboat in English, is not an entire musical crew but rather a simple one-man-band consisting of Niels Boutsen, a 20 year old musician who plays his own special version of cabaret. 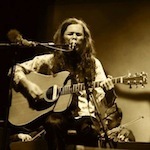 Through warm and emotional songs backed by his acoustic guitar, Niles’ songs provides snapshots into everyday life and love, creating an intimate atmosphere that puts people at ease and smiles on faces. 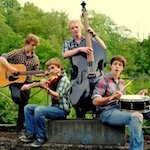 From their humble beginnings (2011) in a basement in Namur playing covers of Flogging Molly and Cowboys Fringands, Travel Minds rose to make it to the finals of Imagine Belgium in 2012 with an original repertoire and tremendous stage show. This says much about the festive folk rock quartet which has in a short space of time begun to become a group in high demand in Belgium. The inception of the Vytautas Magnus Unversity’s Music Academy’s Chamber Orchestra in 2010 came from the desire to preserve a generation of talented and promising musicians. Their success is ensured by a virtuous stage performance that encompasses baroque style music, contemporary classical music and jazz. The orchestra has inspired Lithuanian composers who dedicate their music to the orchestra. 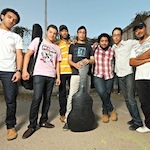 WASLA means “connection” and reflects the way in which the band members got together through music in Alexandria’s underground scene. They are charged with the purpose of raising Egypt’s cultural life and accelerate the Egyptian cultural renaissance. The band’s musical originality stems from the different musical backgrounds its members: flamenco, funk, blues, country, latin, jazz, hard rock and black metal. 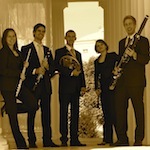 Webern Winds are a thrilling young Austrian wind ensemble that were founded in 2011 and who have already attracted interest from international audiences through their wonderful musical chemistry, high level musicianship and technique. Zaman sublimely combines contemporary compositions with Greek traditional music, Mediterranean and oriental folk in a timeless musical reverie. 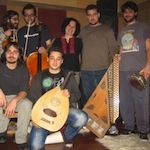 Founded in 2011 in Volos, the ensemble has played extensively and garnered well deserved recognition.